Enter for your chance to win a mini Flying Wish Paper Kit! [This contest has ended, visit our homepage for our latest contests for your chance to win all December!] Courtesy of http://www.flyingwishpaper.com/! 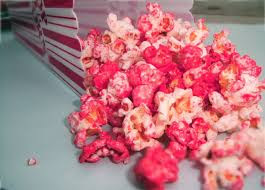 This is our official kick off to our gift giving season here at GaveThat.com! Not only will we be sharing some of our most treasured gift finds but we want to give something to you. All throughout December look for chances to win some incredibly sweet gifts. We start things off with a mini contest using our mini blog over at twitter . Entering is easy! Simply tweet "WISH @gavethat" this MONDAY December 8th 2008* on twitter. One (1) random winner will be chosen! It could be you. 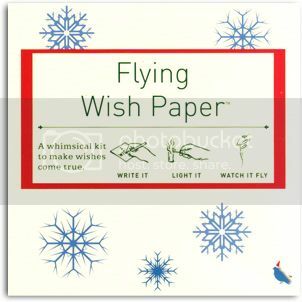 Flying Wish Paper™ is a "whimsical kit to make your wishes come true!" Julia Lambie, the creator of Flying Wish Paper, contacted me and I immediately loved the unique concept of writing down your wishes, hopes and dreams and letting them fly away. Even more lovely was the actual embossed papers themselves and the cute give as is envelopes they come in. For more on Flying Wish Paper please visit Julia's website. In order to keep up with GaveThat.com and our contests be sure to add us to your follow list on twitter. *You may need to sign up for twitter in order to participate in this contest--twitter is a FREE online service and signing up is quick and easy. This contest is open to our international audience. One (1) entry per person, per household, per email address. Some restrictions apply and void where prohibited. In the event a winner fails to reply with his/her address for prize shipment we reserve the right to choose another winner based on existing entrants. This contest is not affiliated with twitter directly.